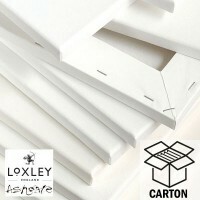 These economy canvases are double acrylic primed medium grain cotton canvas and are now made available in carton quanties. They are staple and pin free on the sides making framing unnecesary. 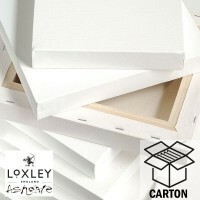 Take advantage of up to 69% discounts on Ashgate stretched canvases when purchased in carton quantities! Providing the carton is in stock they are shipped the same day providing the order is recieved by 12 noon and normally arrive the next day.